The calendar year 2018 started with a bang for equity investors. The effervescence of optimism overflowed across the global equity markets. Indian markets too participated in the global rally and the key indices touched their life-time high in January. Those who missed the bus felt dismayed and fearing the permanent loss of opportunity, invested in equity when the markets rallied at steep valuations. But soon after the budget was announced, the tide turned against equity. Long term capital gain tax on equity, PNB scam, fear of political instability in India, geo-political tensions at the global landscape, possibility of escalation of tariff wars made guest appearances. These factors pricked the balloon of equity. But as they say, one man’s loss is another man’s gain. Gold shot into the limelight . Until recently it was said that, since the Federal Reserve (Fed) in the U.S. is hiking interest rates consistently, gold is likely to lose its lustre. Now from nowhere the fears of tariff wars resurfaced. Tensions between China and the U.S. over the latter slamming additional duties on steel and aluminum imports from the former intensified over the last couple of months. Gold is already up close to 5% in India and is expected to exhibit sheen in 2018. The World Gold Council (WGC) is of the view that the precious yellow metal has many reasons to gain. It is of the view that while central banks are like to tighten policy rates, the increase will be gradual owing to subdued inflation across developed economies. “In the Indian context, the demand will bounce as rural income is set to grow. The government’s vision to double farmers’ income by 2022 will lead to a sharper increase in rural gold demand. We do not believe that India’s annual gold demand will be limited to 650-750 tonnes. It will bounce back to 850-950 tonnes in another 18 months”, expressed Mr Somasundaram PR, Managing Director (India) of WGC. For 2018, as the Union Budget 2018 has confirmed various positive initiatives for gold including the development of a comprehensive policy and the creation of a gold exchange, the WGC is optimistic that the demand for 2018 will stabilise at 700-800 tonnes. So, those who sold their gold to invest in equity are probably ruing that decision now. The precious yellow metal as an asset class is an effective portfolio diversifier and a hedge. 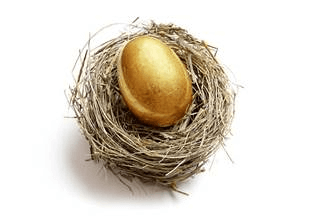 The long-term secular uptrend gold exhibited is something that invites attention and highlights the importance of owning gold in one’s portfolio with a longer investment horizon in sight. Opting for a personalised financial plan is important as it helps you make an ideal asset allocation based on your financial goals and the risk appetite. Therefore, allocating at least 10% of your entire portfolio to gold and holding it with a long-term investment horizon will be a prudent strategy. You may buy gold Exchange Traded Funds (ETFs) or subscribe to Sovereign Gold Bonds. These are smart ways of taking exposure to gold. Want to be a successful investor in 2018 and years to come? Want to hold a strategic portfolio that will potentially outperform the market and generate tax-efficient returns for you? ‘Core and satellite’ investing is a time-tested strategic way to structure and/or restructure your investment portfolio. PersonalFN’s Strategic Portfolio for 2025, is based on the secret followed by Successful Investors. Subscribe now!